Obviously, number one is putting a drone up above your event and getting beautiful video footage and aerial photography from an overhead perspective. 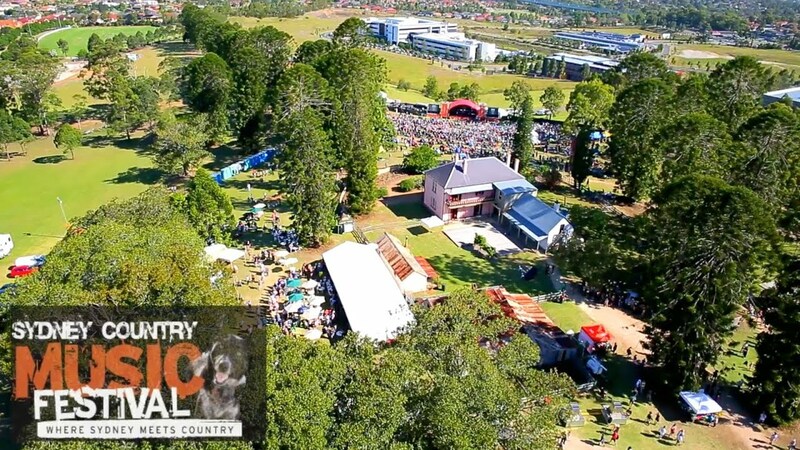 The aerial perspective can provide a unique bird’s eye view of the event, and can bring the whole crowd plus any attractive surrounding features of the area into the shot. 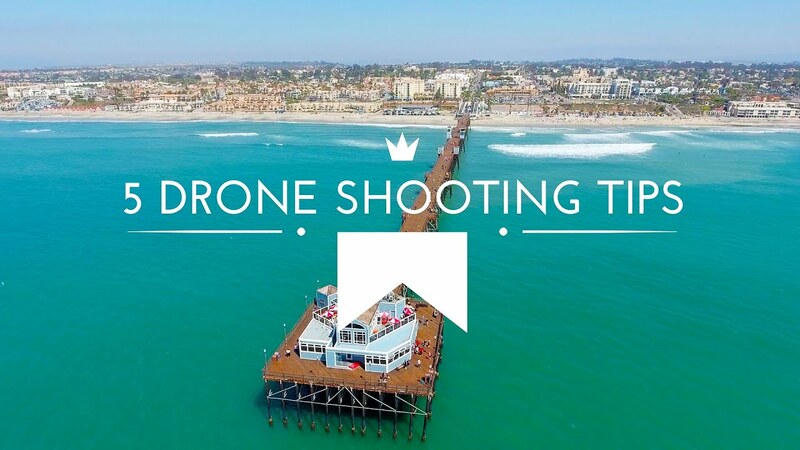 Examples of locations to get the most out of your drone photography include outdoor corporate events, sporting events, weddings, and schools & universities. It’s a great x-factor for any event. Here at Drones For Hire we have seen various requests for different kinds of objects to be delivered by drone – a beer can, engagement ring, balloons, paper brochures, a packet of butter, water balloons, a birthday card and even a chair. The drone would typically fly up past the audience from a concealed place and then deliver the object to a person or people. A second drone can be used to record the process for promotional video / social media exposure/aerial photography. While user generated video streaming is a growing trend in 2017 (Facebook Live, Periscope app etc. ), live event streaming is being taken to the next level by drone technology. 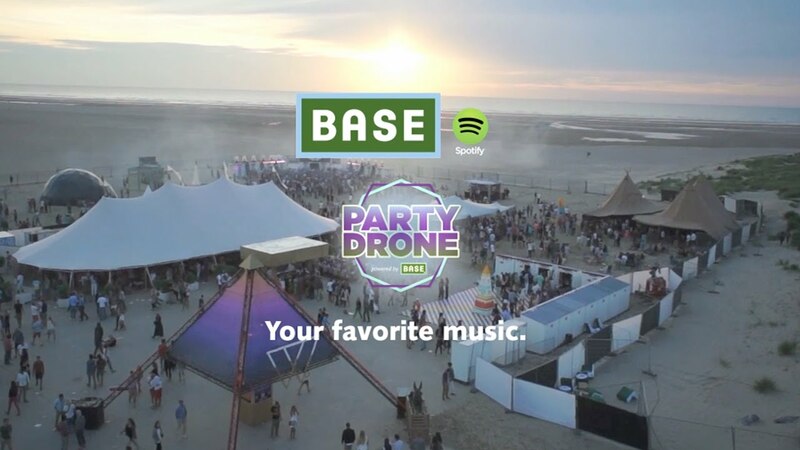 Drones with high-definition 4K video cameras and GPS stabilized drone platforms enable high quality videos to be screened on multiple monitors across the venue. Not only do attendees experience a whole new perspective of the event they are at, remote audiences are treated to a bird’s-eye view as well, creating an immersive event experience for everyone. You may have heard about a swarm of drones carrying LED lights performing choreographed light shows at huge events such as the NFL Super Bowl in the US. It was also done at Disney World. These shows are very unique and very engaging. 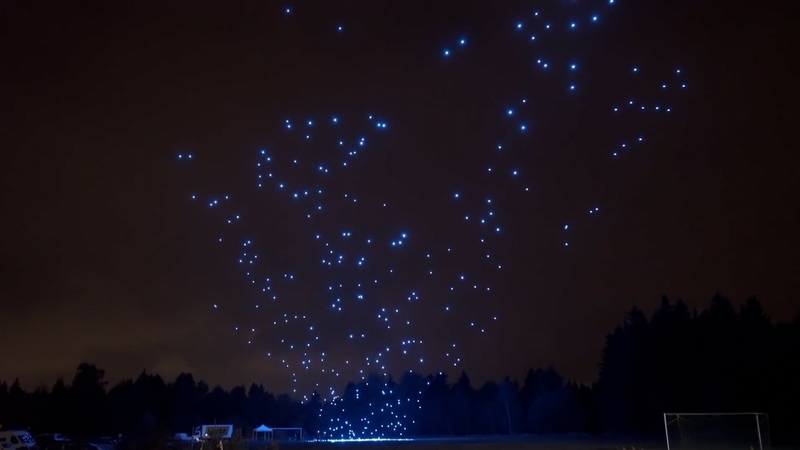 The drones can fly in unison with music, dancers and other aspects of the show. At crowded outdoor events staying connected can be almost impossible. In cases when existing mobile phone towers get overcrowded with users, drones can actually act as additional towers. Special telco-drones can be sent to hover up to 120m above the crowd, ensuring continuous signal and access to existing networks (Telstra, Vodafone etc.) over a wider reach, thus curbing attendees’ frustrations. This relatively new technology is still being tested out by the likes of Facebook and AT&T in the US. Remember if attendees cannot use their phones at your event, they cannot share photo and video content on social networks. CCTV style cameras that are used to detect possible security violations or signs of disturbances in crowded areas can be fitted into drones. This way, drones will be able to catch unrest before they become fully blown problems. The continuous aerial monitoring during events will also help in the efficient delegation of security personnel should an accident or security breach occur. How much do drone operators charge for events? Experienced individual drone operators in Australia will charge roughly $130-$180 per hour. This depends on the quality of the drone and camera, their experience level, and travel time. You also need to specify if you need just the video file (HD or 4K quality), or need editing of the video and image touch ups as well. 1. Licenced and insured. Commercial drone operators must have one of these 3 options covered before they can legally be hired by you. Also make sure your chosen drone operator holds a current public liability insurance policy that specifically covers the operation of a drone. This is particularly relevant for events because of the presence of a crowd of people. 2. Relevant experience. As always - check the operators show reel for relevant experience. You might be looking for smooth video of events, delivery of an object, or experience flying from a boat – find someone who can actually demonstrate that they have done something similar to your request. Corporate event on world environment day. 10 teams of 10 corporate staff to compete against each other to plant trees. Would like to make a short aerial video and some drone photography of the day to hand back to the corporates as a thank you and a memory of the day. Please quote for just the video files and 5-10 images, and include editing as a separate item please. Investigating getting a swarm of drones with neon lights, Maybe 50 of them. Similar to what the Super Bowl in the USA did. For the royal ag. show in Perth in Sep. (animals, tractors, rides, show bags etc). The swarm to fly when the dancers are on - about a 7-9 min act. One act per night for 8 nights in a row. There will be one or two warm up sessions prior to the first night on *****. Would like them to change colour. Setting is on a football oval. I will send you the choreography and work with you for lighting and creative direction etc. You may be interested in having a display booth at the show as well, this can be discussed. I realise this is a very specialised request and that not a lot of companies will have the resources to do it, so putting feelers out so I can get an approximate quote and feasibility. Job type: Other - Event activation - drone used for delivering items as a feature. I am a teacher of film and television (North Sydney TAFE)and we have been asked to film a corporate event at Bonny Doon Golf Club. Last years video had some fantastic drone photography so I thought it would be good if we could get a drone on the day, possible an operator and we could get some great drone shots as well as taking the students through how they actually work. Interested to trial a drone operator for your next event?